The cyclist who died in an accident in Eastbourne earlier this month has been named by police. 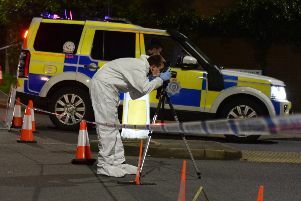 Colin McFarlane, 48, of Ashford Road, suffered serious head injuries following the incident involving a Kia cee’d in Langney Road at 5.20pm on Saturday May 5. He was taken by ambulance to Royal Sussex County Hospital in Brighton, where he died five days later (Thursday May 10).